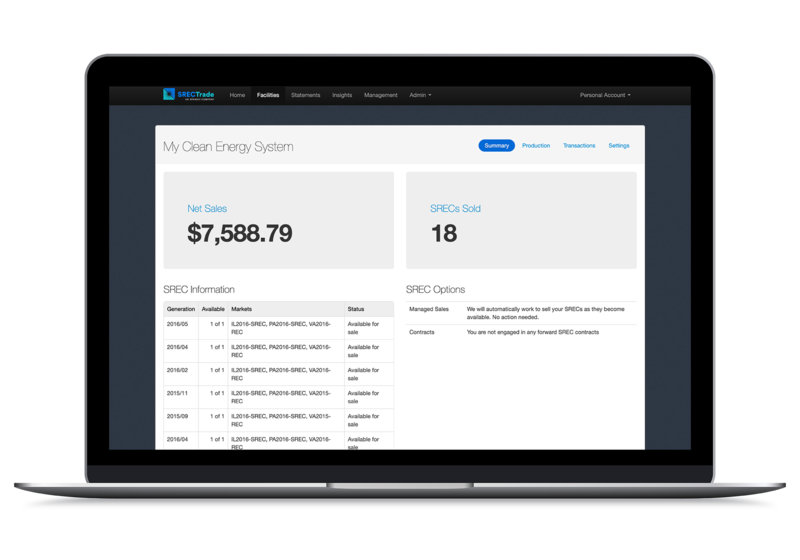 Start enjoying the return from your solar investment by using our software that guides you through setting up your account, creating, and transacting SRECs. There’s no long term commitment to make. Our fees are percentage based to help ensure we achieve the best prices available in the market. SRECTrade does not take a principal position with your SRECs. Instead we charge a percentage based fee to ensure our incentives are aligned. Our percentage based fee structure means we are constantly monitoring the market and transacting at the best prices available. † Transactions have a $2.50 Minimum Service Fee per REC. Please note that the Minimum Service Fee cannot exceed one half of the total REC transaction value. Fees for contracts, procurements or solicitations may differ from those shown here. Consult your contract or related documentation for details regarding associated Fees.